Helbach's Coffee House on the west side serves up bourbon sticky buns in addition to a full menu of delectable coffee drinks. After numerous years on Madison's west side, Helbachs Coffee Roasters + Kitchen is opening its second location in Middleton on March 31. According to the shop's Instagram account, the new shop will host its grand opening March 31 at 1824 Parmenter St. in downtown Middleton. Throughout the past couple weeks, the new location has hosted various soft opening events. In addition to house roasts and classic coffee drinks, Helbachs offers power smoothies and specialty drinks, like dirty hot chocolate, karma macchiato and bumper car, a butterscotch hot chocolate with espresso. They also offer homemade baked goods, including its signature bourbon sticky buns. Copyright 2019 by Madison Magazine. All rights reserved. This material may not be published, broadcast, rewritten or redistributed. Get Madison Magazine delivered to your office or home. This Madisonian is as bright as her business, Revel. 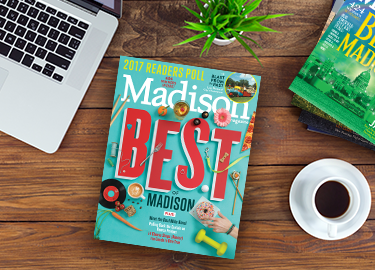 Sign up for e-newsletters to get the first taste of Madison Magazine's top stories and more!